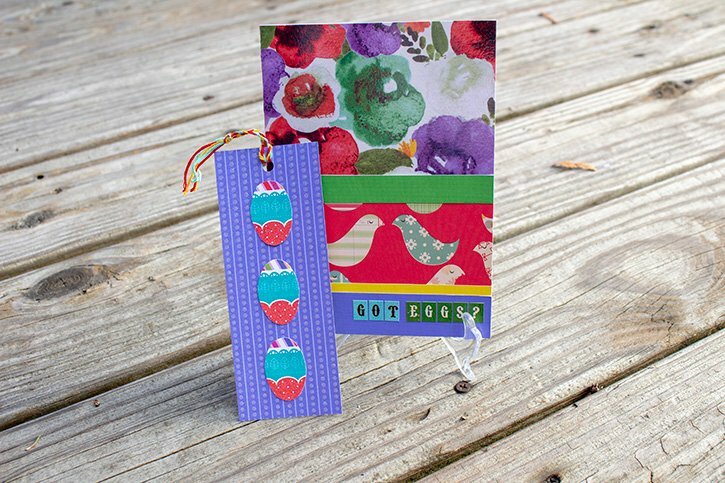 Exploding cards are a standout way to send a loved one a message. While they are fun to make, you will definitely need some design software knowledge to break them apart and cut them out onto your respective choice of papers, but the learning curve is not impossible. 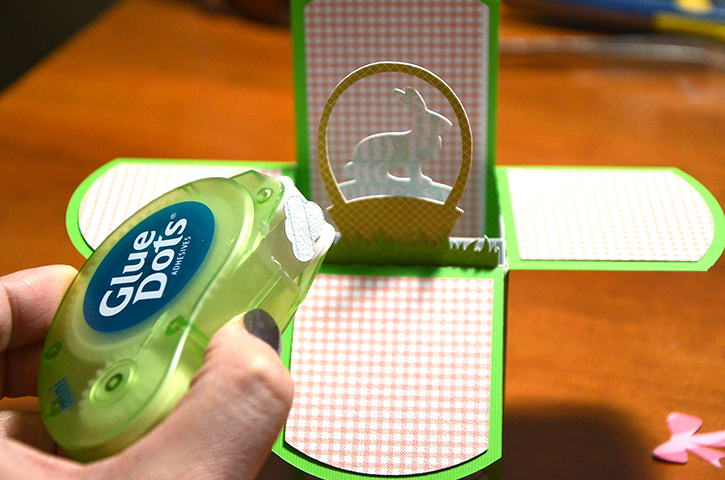 Plus with the help of Glue Dots®, your assembly will be a mess-free and easy experience. Notes: I am new to “explosive” type cards. At first they intimidated me, but after discovering that there are cut files for these kinds of projects, I wasn’t so scared anymore. And after creating this one, I am officially hooked. 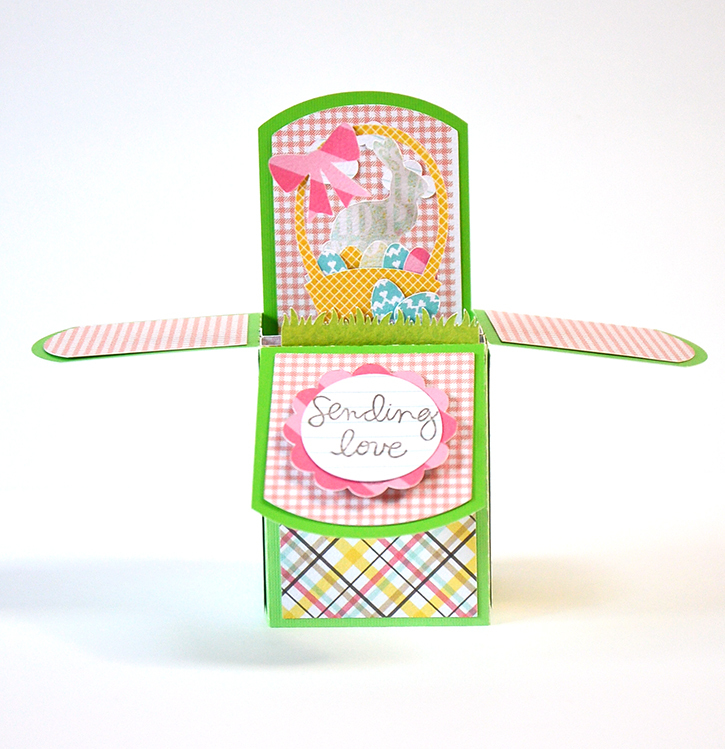 Download and open your exploding card- A2 BOX Card: Easter Basket - cut file into your design studio software. 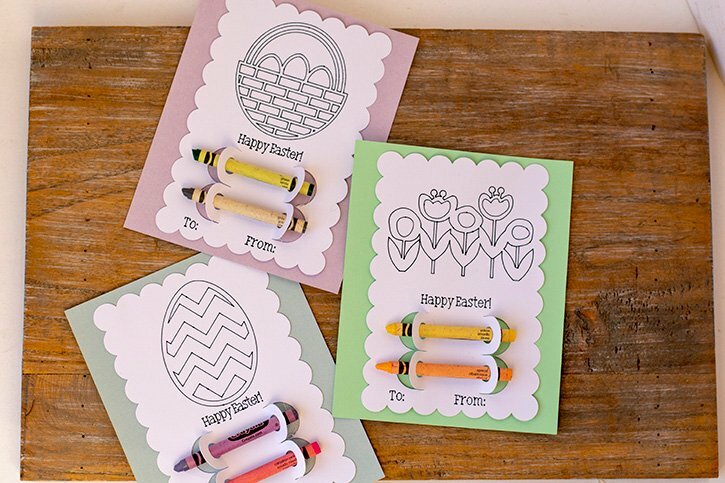 Using the ungroup method, separate the parts of the cut file and rearrange them so that where you can easily combine multiple pieces of varying papers onto the mat to cut as many pieces of the card as possible, all at the same time. *If you need help in this process, YouTube always have some great tutorials. 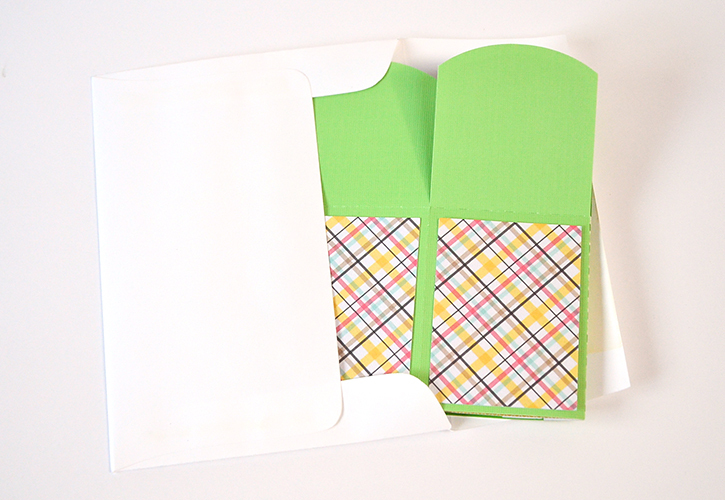 Do not resize the parts so that the card will fit perfectly into a regular card size envelope. 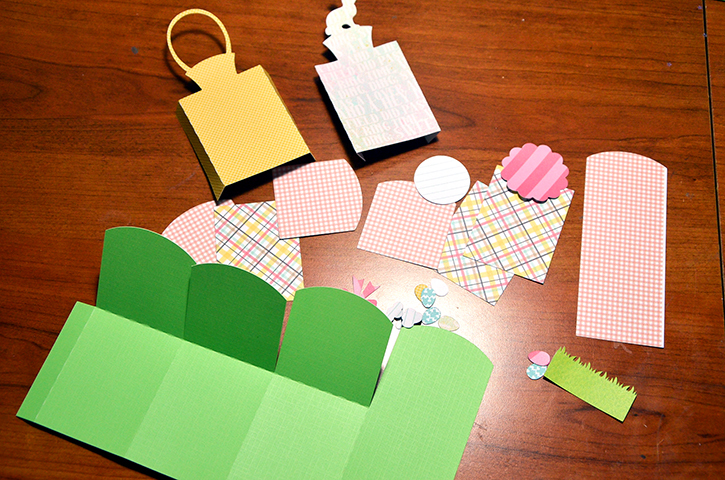 Cut the desired pattern papers to size and place on the mat and cut out the parts. Put together the card. 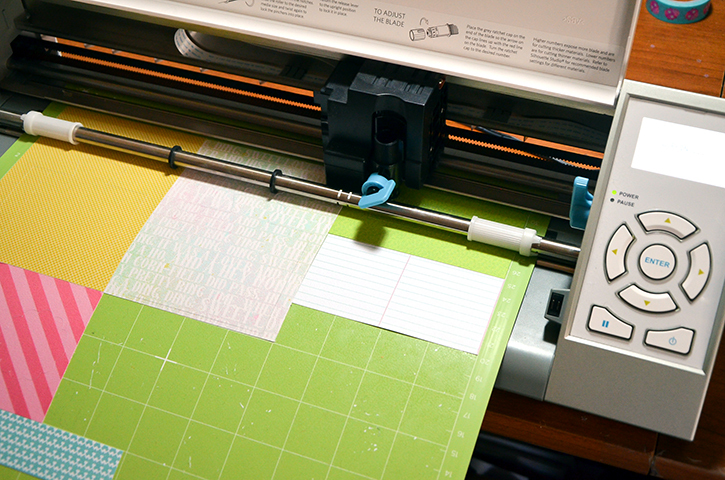 Use the Ultra-Thin Dots to adhere the bigger pieces. 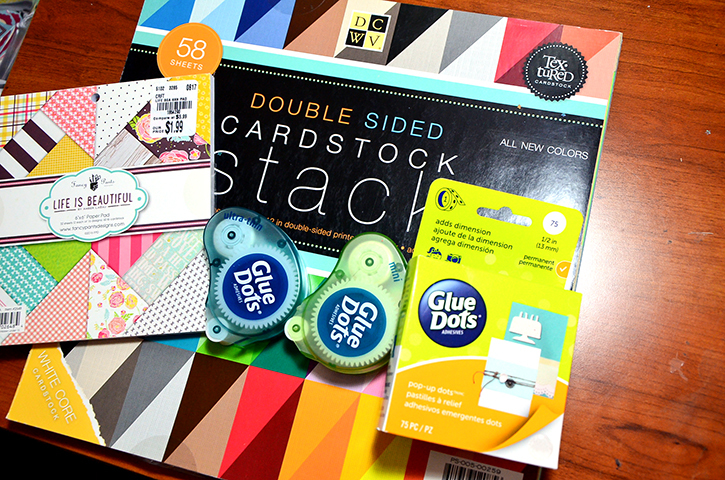 Use the Mini Dots for the smaller pieces. 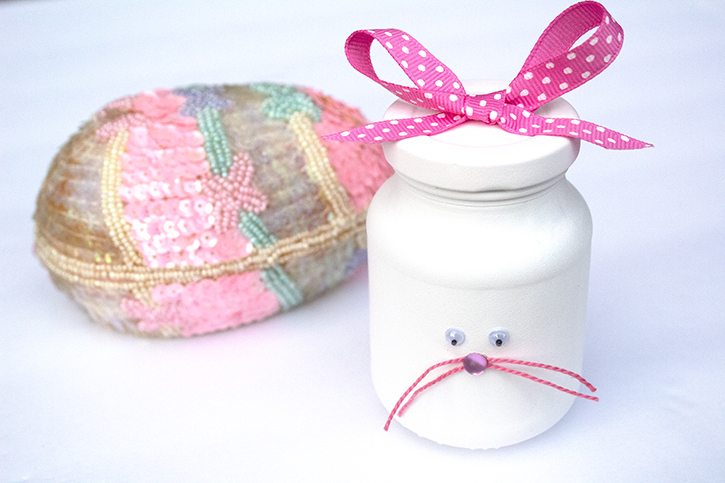 You might need some tweezers to help place the tiny eggs behind the basket. 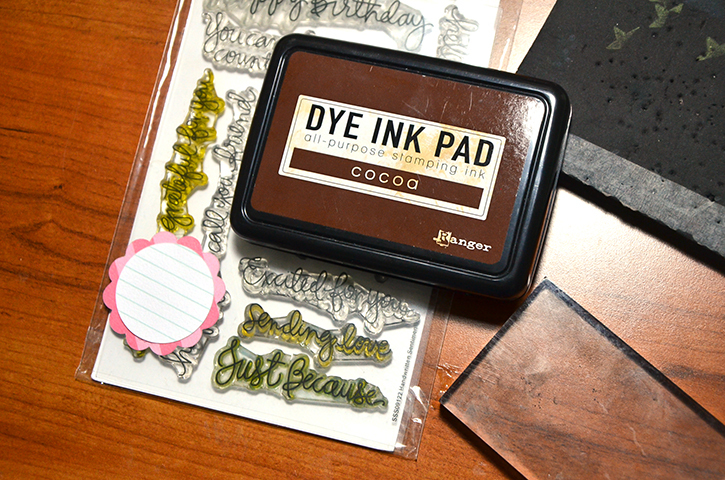 At first, I didn’t think I would need to stamp a greeting on my card but the circle panel was calling for something in the middle so I pulled out one of my “go-to” stamp set for sentiments and stamped “sending love” on the circle panel. I adhered the circle to the scallop circle piece using more Ultra-Thin Dots. 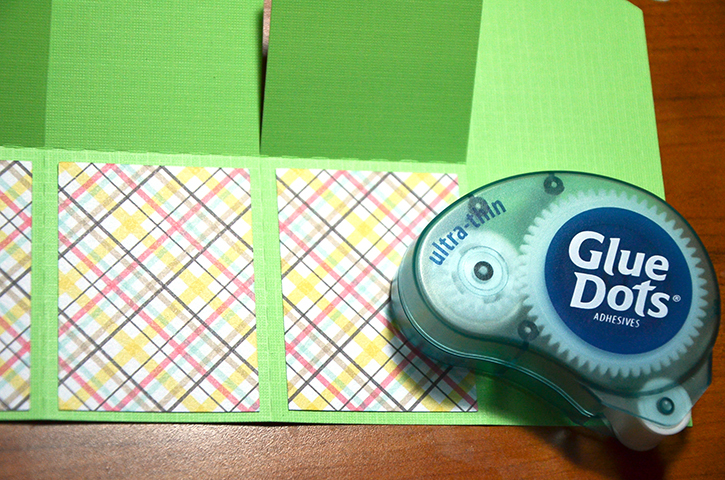 Then adhered the whole thing on the center of the card with Pop-Up Dots. 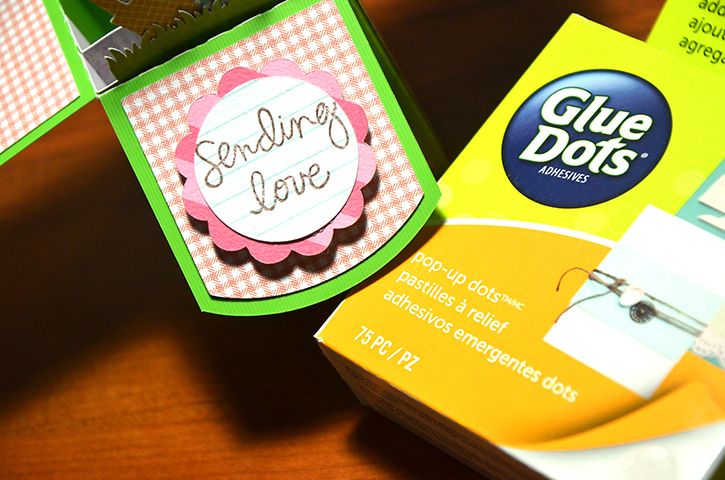 When you are ready to send the card, all you have to do is fold the card on itself and tuck it in an A2 size envelope.